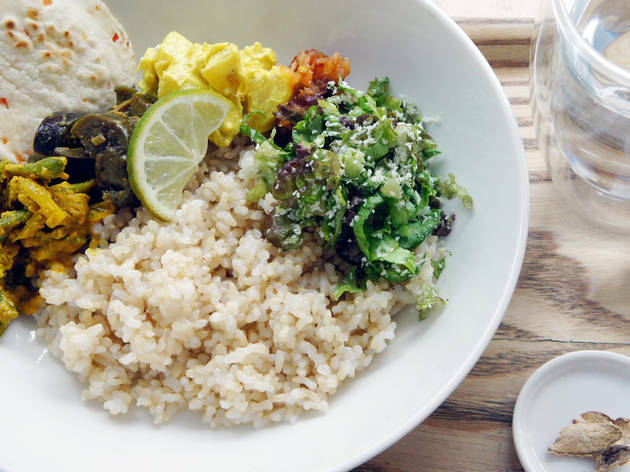 The Sincere Garden spa and salon on Aoyama-dori is also home to an organic restaurant that's likely to appeal to vegetarians – especially female ones. 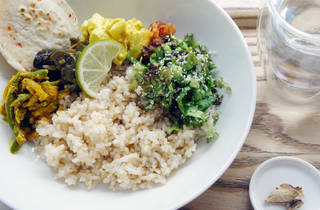 Garden Café serves a selection of veggie salads, curries and soups, including a popular Sri Lankan combo plate (pictured) that's based on ayurvedic principles. There's also a good range of herbal teas on offer, including a few that are specifically for pregnant mums, along with a few varieties of cake that you won't feel guilty about eating afterwards. A lunch set will set you back ¥1,000-¥1,500.